To solve a financial crisis for a temple, the temple establishes a Buddhist vocational school. The school accepts students who have been left behind by other high schools. Chaos soon ensues between the students and the monk teachers. 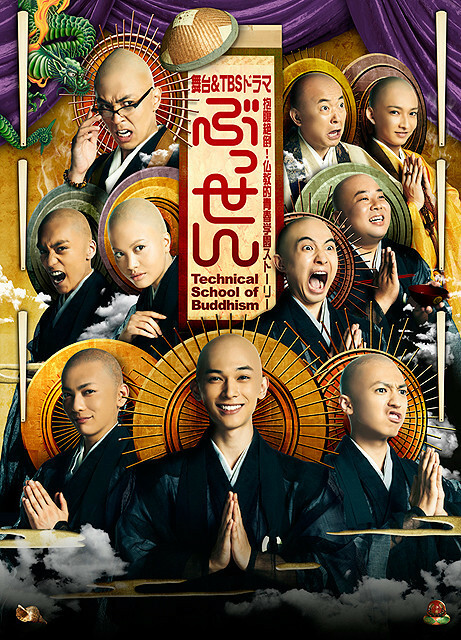 Meanwhile, Shosuke Tamura (Ryo Yoshizawa) is a monk in training. He is sent by the Kinkinfuku Temple, which is located near the financially distressed temple, to spy on the other temple. Based on manga series "Butsen" by Ranjo Miyake (published from 1999 to 2001 by Weekly Morning). Licorice Mar 03 2016 6:43 am OMG....Renn, Hide, and Ryo, all those handsome ikemen are bald!!! What the....??? Katsuka Jul 01 2013 8:03 pm Oh my freakin! Ryusei's bald, is he going to shave his head? !